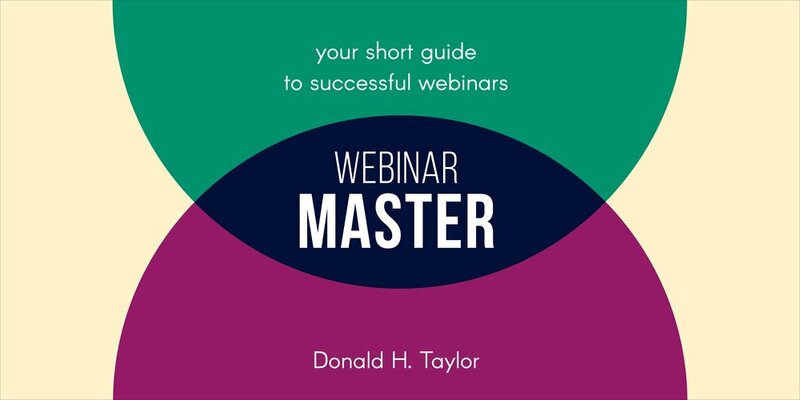 In Webinar Master, Donald H Taylor shares his methodology for delivering great webinars, consistently, distilled from his experience coaching hundreds of speakers since 2007. Taylor dissects the traps awaiting inexperienced presenters, and explains why people can’t stop themselves reading, why nobody can listen well online, and why you should use images and animations carefully. 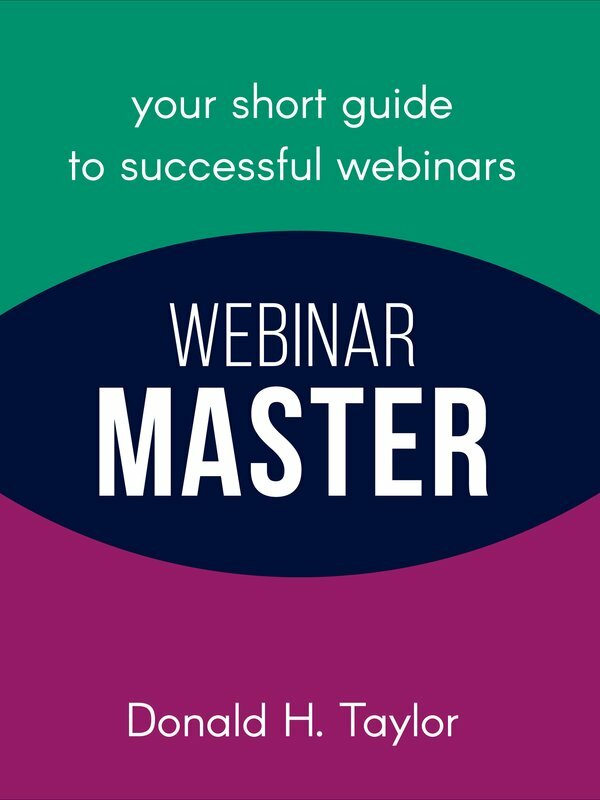 He examines the impact of audience sizes, when and how to work with facilitators and hosts, and gives tips for improving your delivery, from reading poetry aloud to playing Just a Minute.